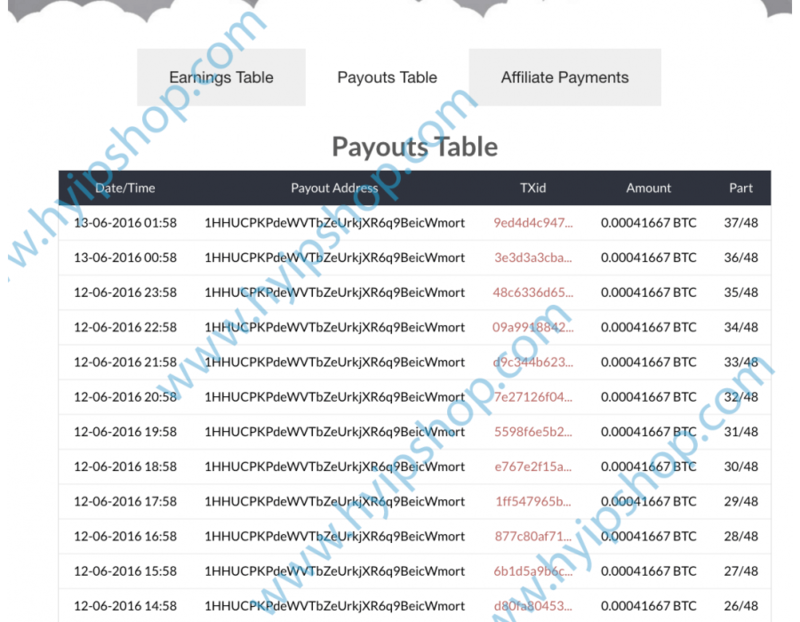 Bitcoin Doubler Script is one of the best Bitcoin Doubler scripts that we did its programming. We made and we support it. 1- You set an hourly plan and referral commission. 5- Deposit goes to earning table and waiting for 1 confirmation to be considered as confirmed. 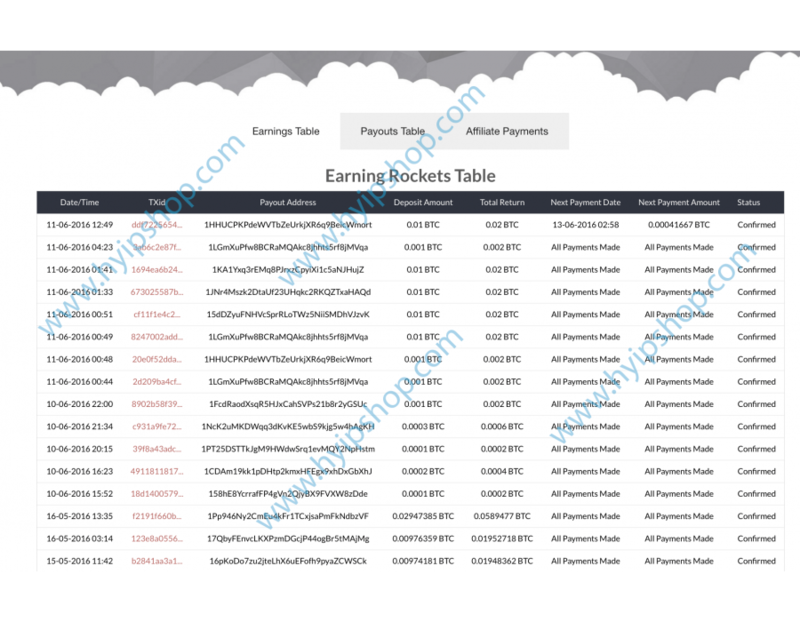 6- Script sends profit to that payout address each hour depended on the plan you defined it before. 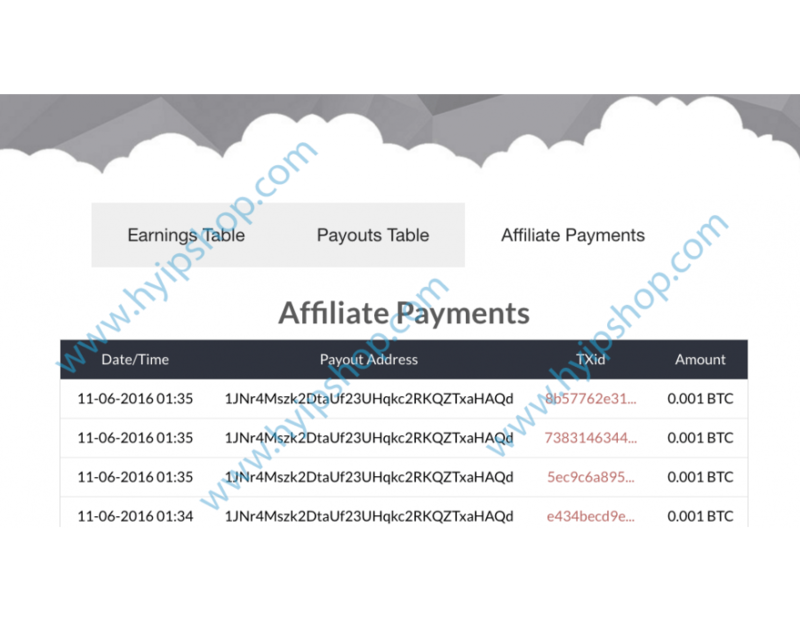 8- last 50 deposits, payouts, referral commissions with Tx (Transaction ID) are available to be seen. It is fully automated and working with API. Select I Need Domain and Anti DDoS Hosting too at purchase time. We will contact you after you placed an order and completed your payment.